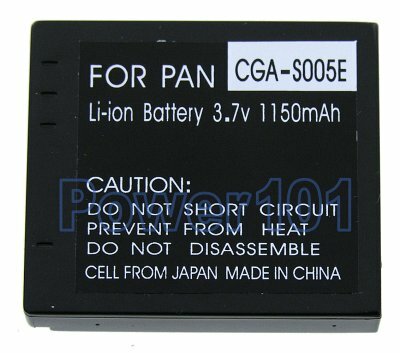 CGA-S005 battery is the same as Panasonic DMW-BCC12 and Fuji FujiFilm NP-70. 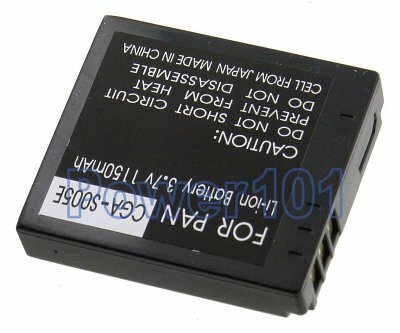 This battery is compatible with the following cameras: FujiFilm FinePix F20, F40FD, Panasonic Lumix DMC-FX9, DMC-FX50, DMC-FX8, DMC-LX2, DMC-FX01, DMC-FX07, DMC-FX3, DMC-LX1, DMC-FX12, DMC-FX10, DMC-FX100, DMC-FX07K, DMC-FX07EF, DMC-FX8-S, DMC-FX8-K, DMC-FX12K, Ricoh Caplio R5, R40, R4, R3, GX100, R30, GR Digital, Leica C-LUX1, D-LUX2, D-LUX3, and many other models. If you have a different camera, please check our camera compatibility list to find which battery you need. This battery can be charged by any standard chargers compatible with S005 or BCB12 batteries. Such as the charger that came with your camera.